Hours back we reported that President Muhammadu Buhari today signed the Not-Too-Young-To-Run Bill into law. 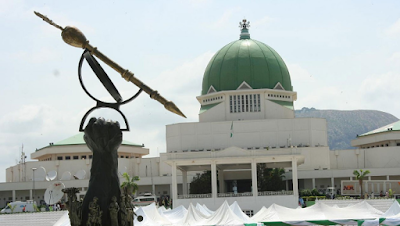 Now a video of the exact moment it happened has emerged online. 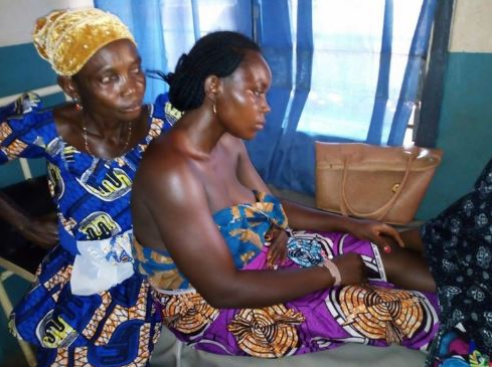 The mother of a new born baby who got missing shortly after delivery at Peniel Maternity and Clinic, popularly known as (Mummy’s hospital) in Anyigba, Dekina Local Government Area of Kogi State, Mrs Laruba Drisu, has accused the nurse on duty (when the child was born), Rebecca Amina Sanni, of masterminding the sudden disappearance of her baby. 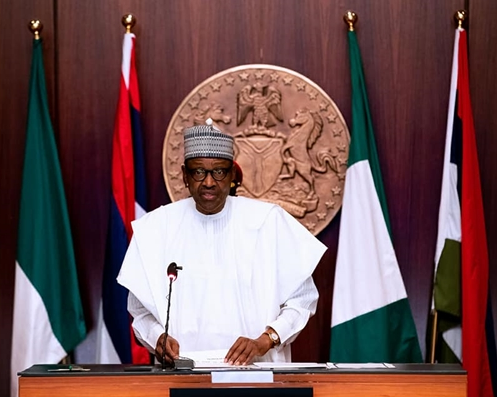 The Senate has confirmed four of the five nominees sent to it by President Muhammadu Buhari for confirmation as non-executive directors of the board of Central Bank of Nigeria (CBN). 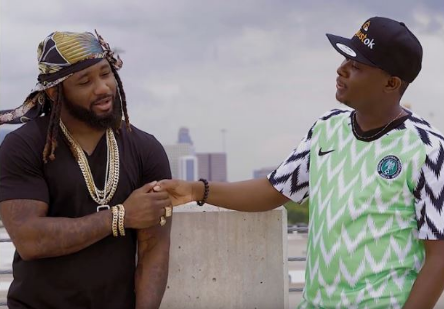 Nigerian rapper, Babalola Falemi, popularly known as Sauce Kid or Sinzu, who served a short jail term in the United States of America is prepared to make a massive comeback to the entertainment industry after a hiatus. 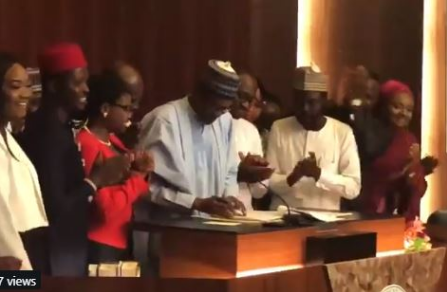 President Muhammadu Buhari has today signed the Not-Too-Young-To-Run Bill into law, Punch Metro reports. 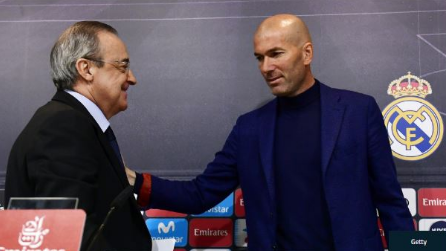 Real Madrid president, Florentino Perez, was not prepared for the coach, Zinedine Zidane to leave Real Madrid less than a week after winning the Champions League for the third time. 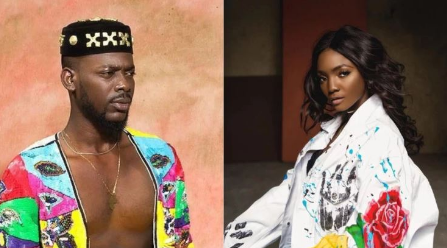 Nigerian singer, Adekunle Gold has revealed that fellow singer, Simi, is a better songwriter than he is. 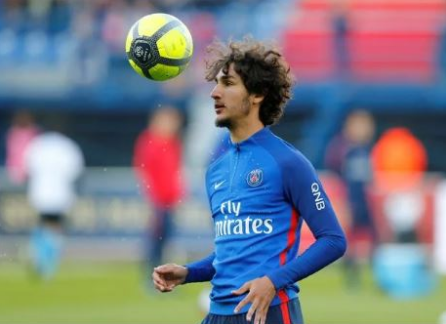 Arsenal are ready to sign Yacine Adli from Paris Saint-Germain, after he rejected PSG’s contract offer and wants to join the Gunners, according to L’Equipe. 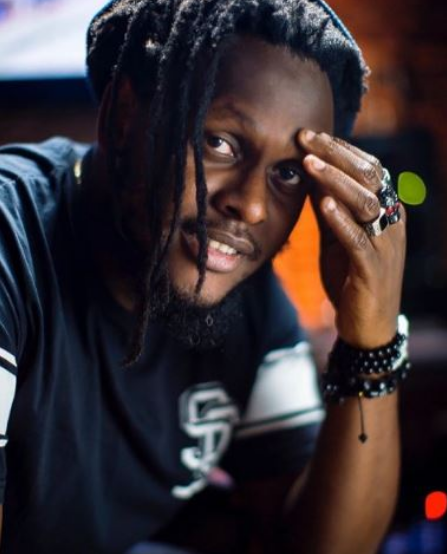 According to reports the Federal High Court in Lagos has entered judgment against famous Nigerian music video director, Clarence Peters, for alleged copyright infringement. 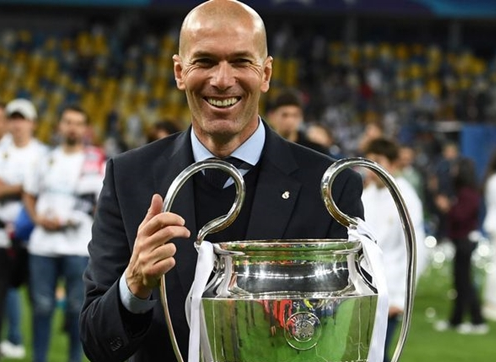 French football legend, Zinedine Zidane, has on Thursday announced his departure from the UEFA Champions League winner after two-and-half years in charge. 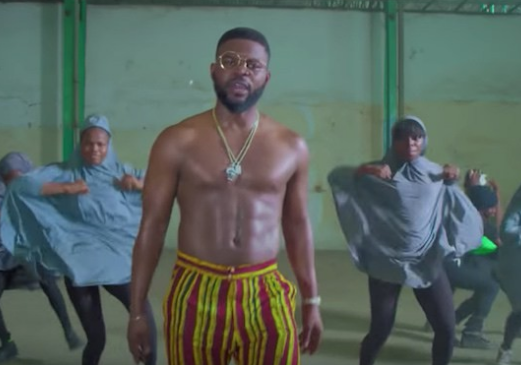 Following the reactions that trailed Falz latest video, "This is Nigeria", where he showcased his female choreographers dancing Shaku-Shaku in Hijab and several other issues affecting the nation, the National Film And Video Censors Board (NFVCB), the agency in charge of censorship and rating of music videos and movies has reacted. 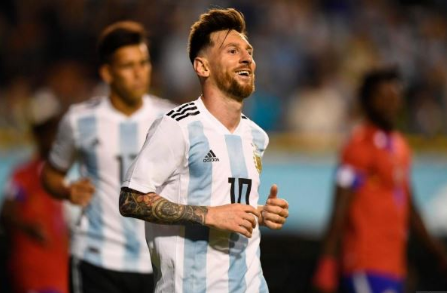 Lionel Messi, the Argentina and Barcelona football star, has overtaken a Brazil legend Ronaldo Nazario among the top goalscorers in South American history. 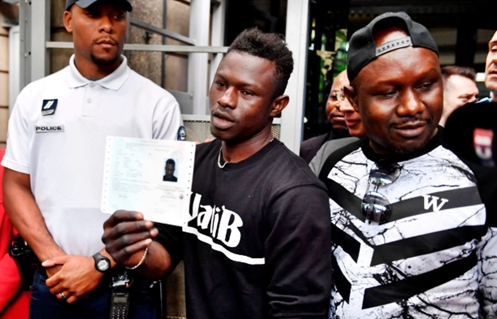 The heroic Malian immigrant, Mamoudou Gassama, who scaled an apartment building in Paris to save the life of a dangling 4-year-old, has started training with the French Fire Service. 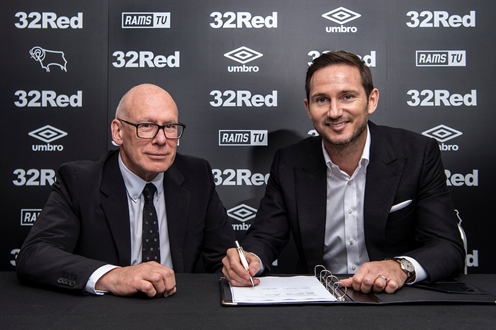 Former England international and Chelsea legend, Frank Lampard has signed a three-year contract to become Derby County’s new manager. 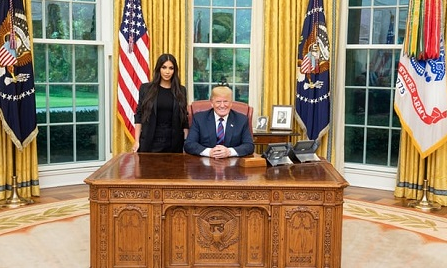 Popular reality Tv Star, Kim Kardashian has finally met with the President of the United States, Donald Trump to discuss issues about prison reform. 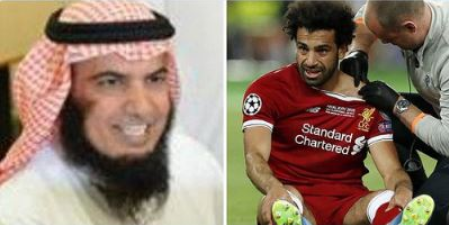 An Islamic preacher has claimed that footballer Mo Salah injured his shoulder in the Champions League final because he broke his Ramadan fast for the match. 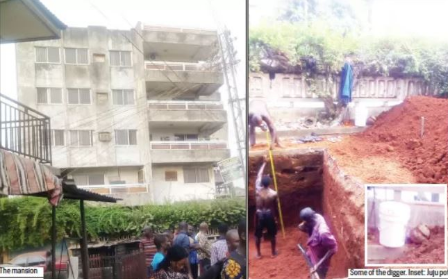 A mysterious moving object has been dugged up after been buried deep under a 5-storey building in the city of Onitsha for years. 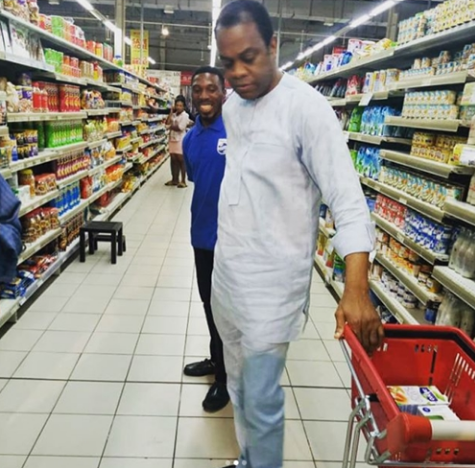 Former Governor of Cross River State, Donald Duke, has taken to his Instagram page to share photos from his latest grocery shopping and revealed to his surprised supporters and fans that he was sent on an errand by his wife, Onari Duke. 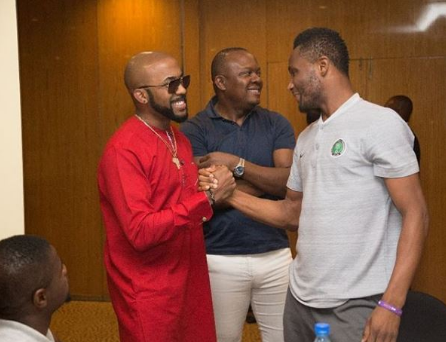 Popular Nigerian singer, Banky W has been pictured with Super Eagles captain, John Mikel Obi. 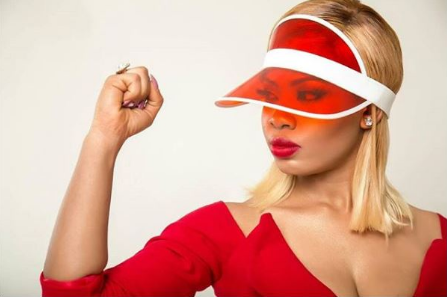 Big Brother Naija star, Nina has thanks God for adding another year to her life by sharing some lovely photos as she celebrates. 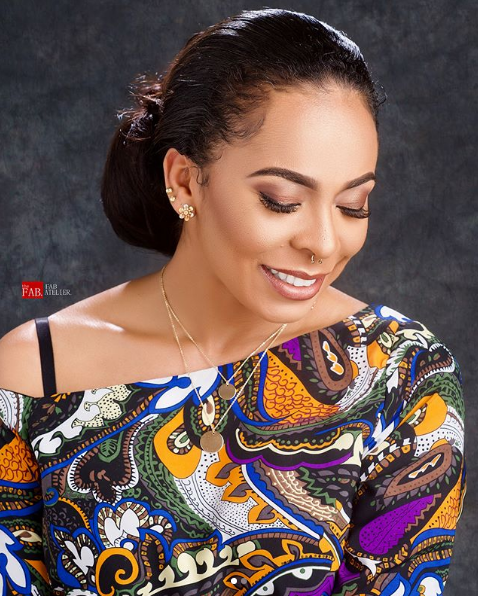 Big Brother Naija 2017 star, Tboss, never lets her fans down as she thrilled them with a stunning new photo via her IG page. 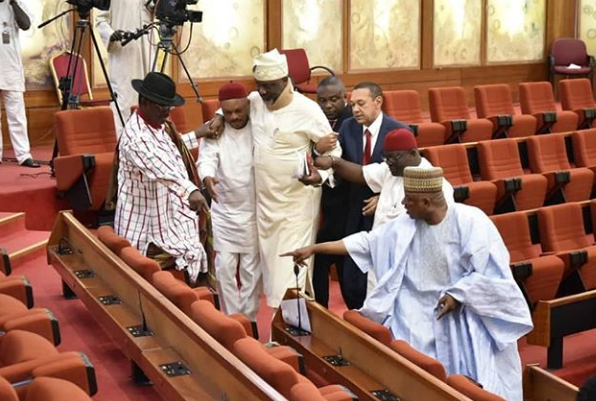 The embattled senator took to his Instagram page to share this photo of him being assisted out of the Senate chamber yesterday by some members of the Opposition party (PDP). 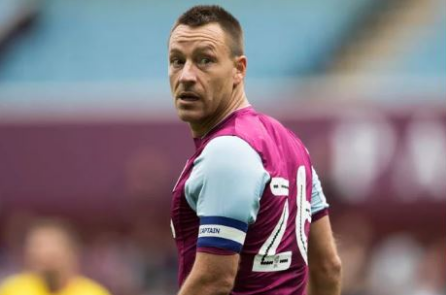 Former Chelsea legend and captain, John Terry has left Aston Villa in his bid to seek a better challenge next season. 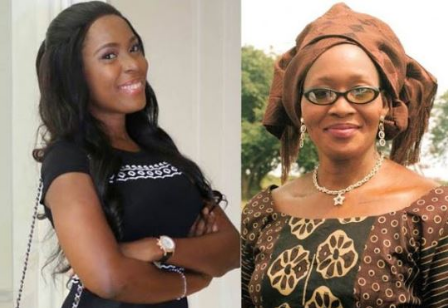 Controversial Nigerian blogger and investigative journalist, Kemi Omololu Olunloyo has traced the historical antecedence of the feud between her and Linda Ikeji via a lengthy YouTube video. 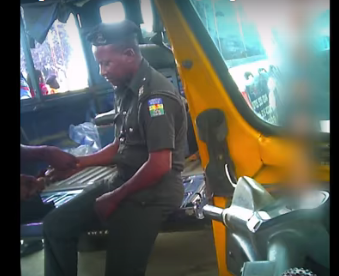 A police officer has been caught on camera trying to extort money from a tricycle rider he arrested from breaking a traffic rule. 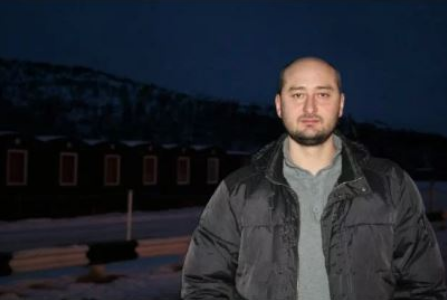 A journalist who was reportedly assassinated, has was seen alive and well at a news conference stunning everyone present. Ini Edo rocked some versace designer wears together as she flaunted her inviting hips in a perfect pair of jeans. 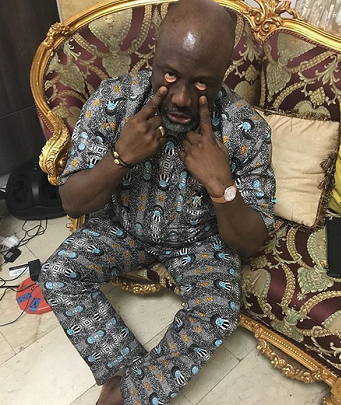 The Spokesman for the All Progressive Congress (APC) Bolaji Abdullahi, has reacted to reports making the rounds on social media that Senator Dino Melaye, representing Kogi West reportedly defected to the opposition party (PDP). 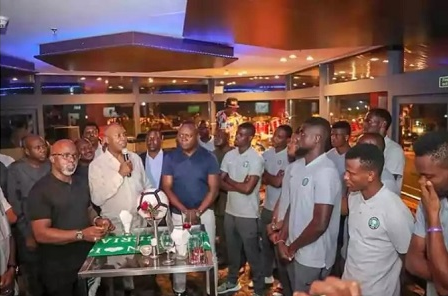 The Super Eagles team earlier today, arrived at the presidential villa, Abuja for a farewell meeting with President Muhammadu Buhari, and photos from the meeting have emerged. 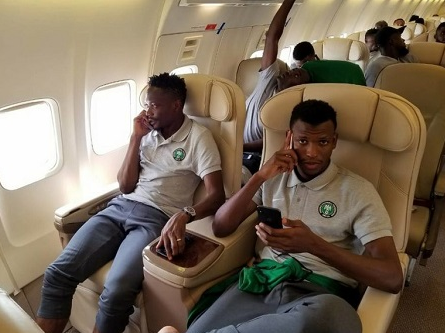 The Nigerian squad to face England in a friendly before the World Cup is on its way to London via a chartered plane. 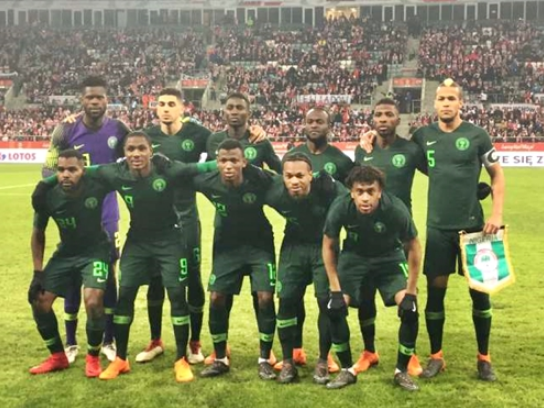 The Senate President Bukola Saraki in the move to motivate the Super Eagles team heading to Russia gifted them $50,000. 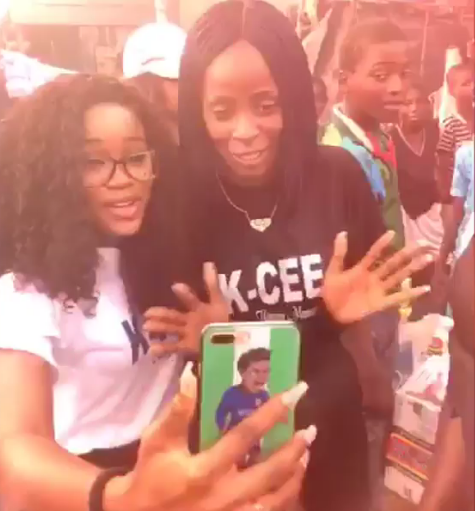 Big Brother Naija reality TV stars, Cee-C and Khloe were pictured observing Children's Day with some less privileged children in Lagos slum. The now famous 'African spiderman' has begun firefighting training in France after being given instant employment. 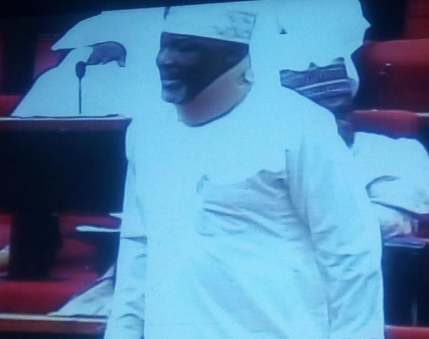 According to a report by TVC News, Senator Dino Melaye on Wednesday resumed for legislative duties at Senate plenary where he technically defected to the opposition Peoples Democratic Party by relocating from the aisle of the ruling All Progressives Congress to that of the PDP without formally mentioning it but insisting that he would no longer sit among APC Senators. 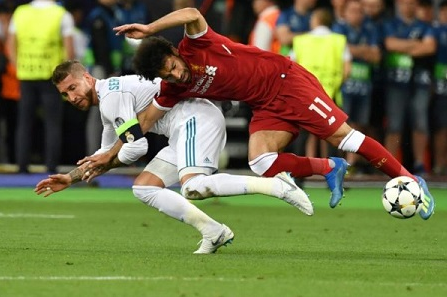 It has been revealed that Egyptian superstar player, Mohamed Salah will miss some games in the upcoming 2018 World cup. 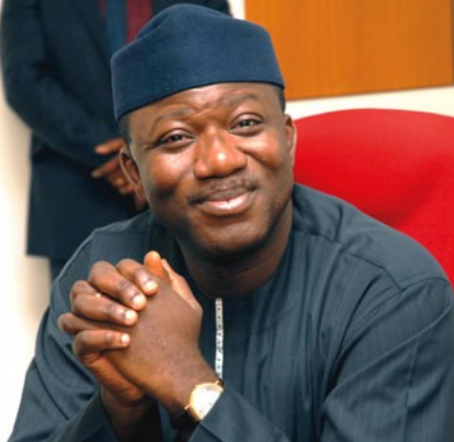 Nigeria's Minister Of Solid Minerals Development, Dr. Kayode Fayemi has resigned his appointment to concentrate on defeating Kolapo Olusola, who is Governor Ayo Fayose’s deputy, at the July 14 governorship election in Ekiti State. 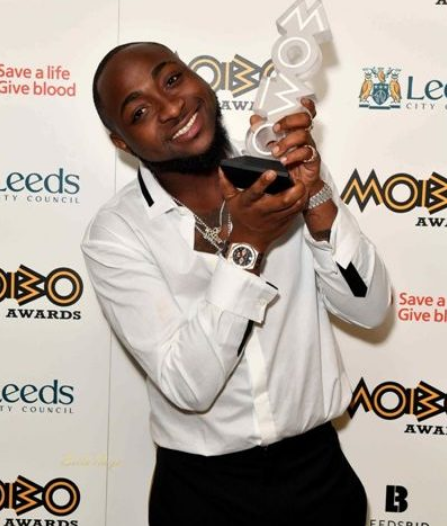 A-list musician, Davido, who has been on top of his game since taking over the music industry is not new to luxury as he recently lavished millions on naira on his girlfriend Chioma to purchase a Porsche car for her as birthday gift. 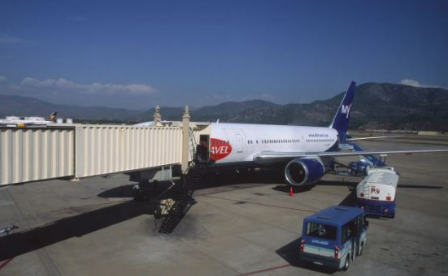 According to reports from Telegraph a 30-year-old British man died after falling from a plane on to a runway at Dalaman airport in south-west Turkey early on Tuesday morning. 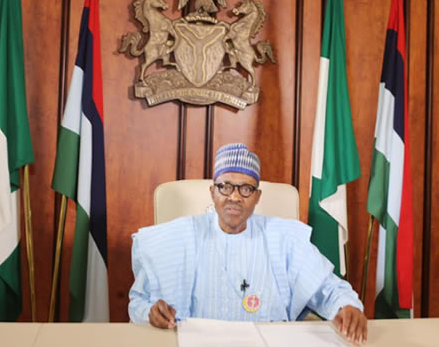 Earlier today the Super Eagles team, arrived at the presidential villa, Abuja for a farewell meeting with President Muhammadu Buhari. 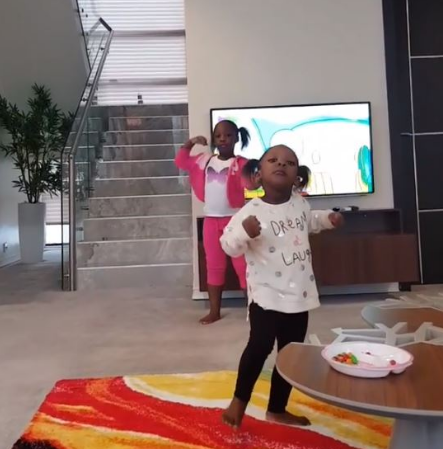 Nigerian dancehall artiste, Timaya is really a proud father after sharing a video of his daughters teaching him 'shaku shaku' dance moves. 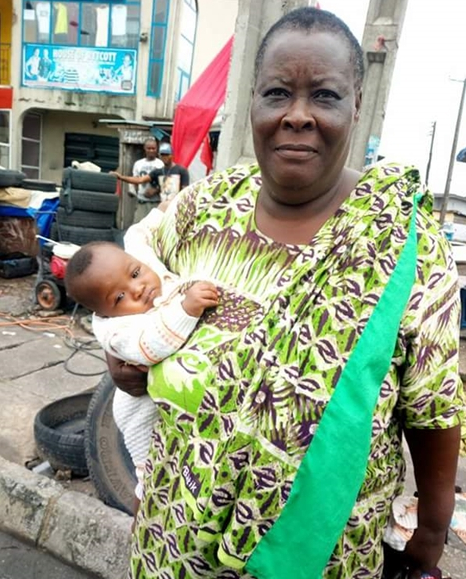 A Facebook user identified as Sampraise Ujere, has taken to the social networking platform to share the testimony of a 62-year-old lady who gave birth after 7-years of pregnancy. 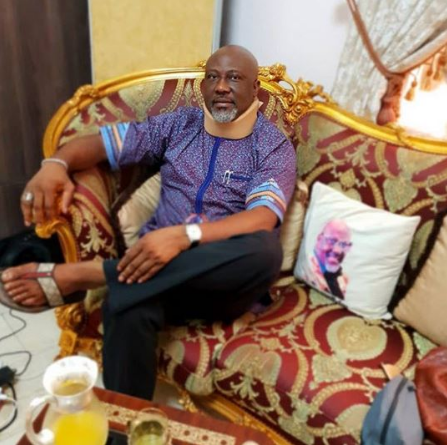 Dino Melaye who some weeks back was stretchered into the court room to face criminal charges of alleged gun-running has made a 'miraculous' recovery. 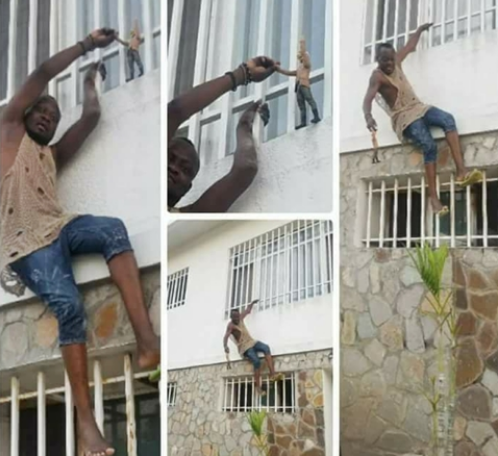 Some trending photos showing unidentified Africans jokingly trying to learn how to climb buildings in case the need arises for them to become famous goes viral on social media. 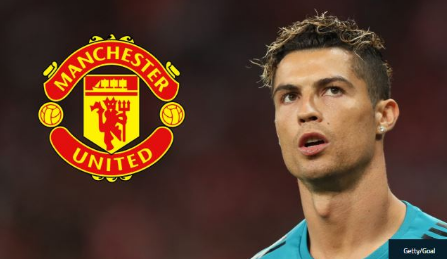 There are rumours that Ronaldo who is open to a move to the English Premier League is sad about Manchester United's lack of interest in him. 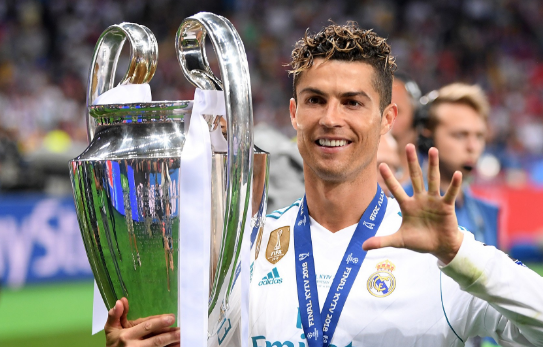 Cristiano Ronaldo of Real Madrid has said that the UEFA Champions League should be named after him after being the only player to win it 5-times. 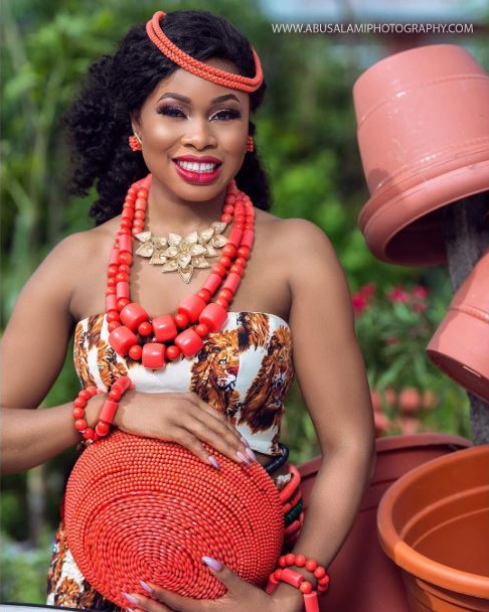 Former BBNaija housemate, Princess who was part of the first evicted participants in the reality show looks gorgeous and pretty in a bridal shoot by famous photographer, Abusalami Photography. 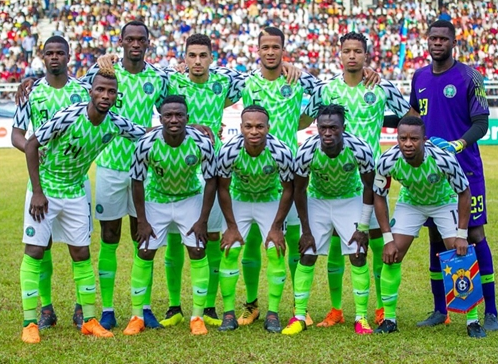 The Nigerian Football Federation (NFF) have released the squad list and line-up of Super Eagles of Nigeria team vs DR Congo, in an international friendly game scheduled for the Adokiye Amiesimaka Stadium, Port Harcourt on Monday, May 28, by 5:00PM Nigerian time. 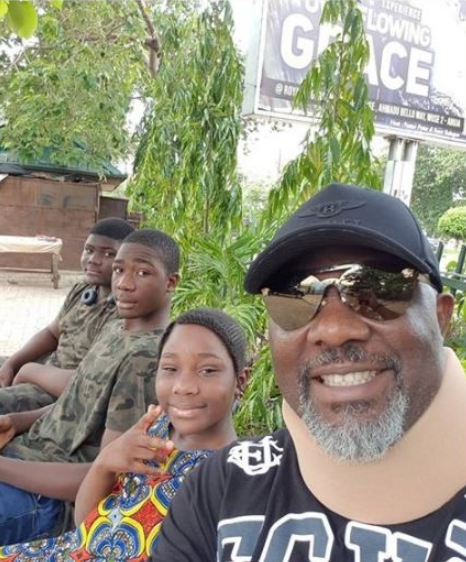 Senator Dino Melaye who is supposedly 'sick' was pictured with his children even though he is not strong enough following his tussle with the police. 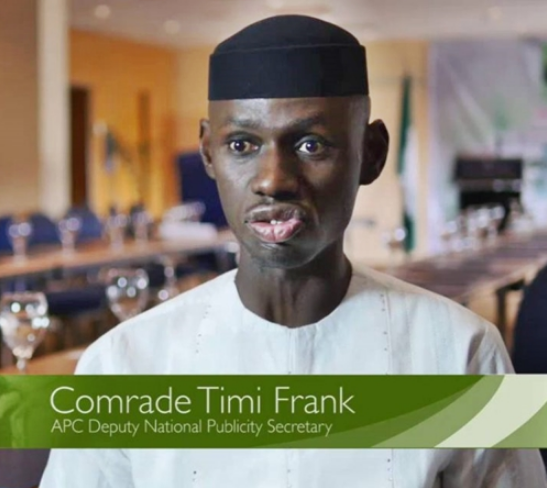 APC Former Deputy National Publicity Secretary, Comrade Timi Frank has written an open letter to United States of America president, Donald Trump, a week after he wrote an open letter to President Muhammadu Buhari. 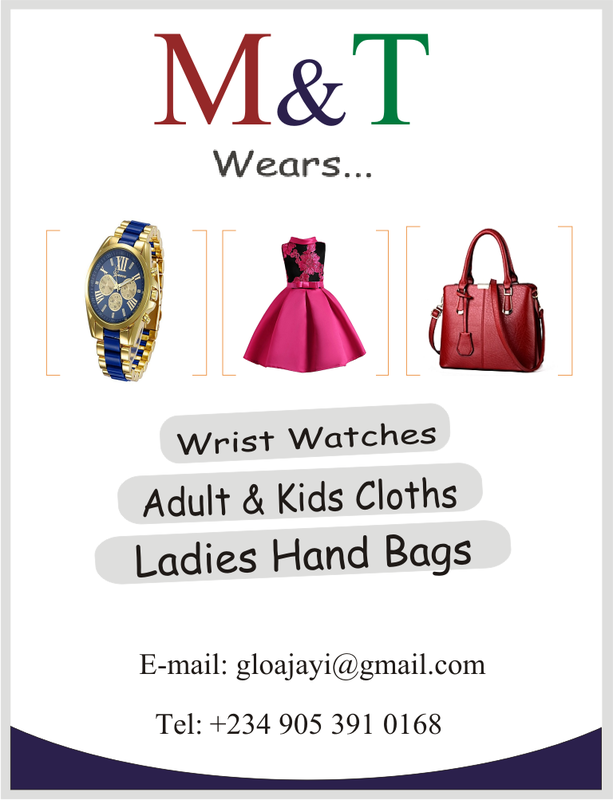 Top Commentator Of The Month...N3K Up For Grab!